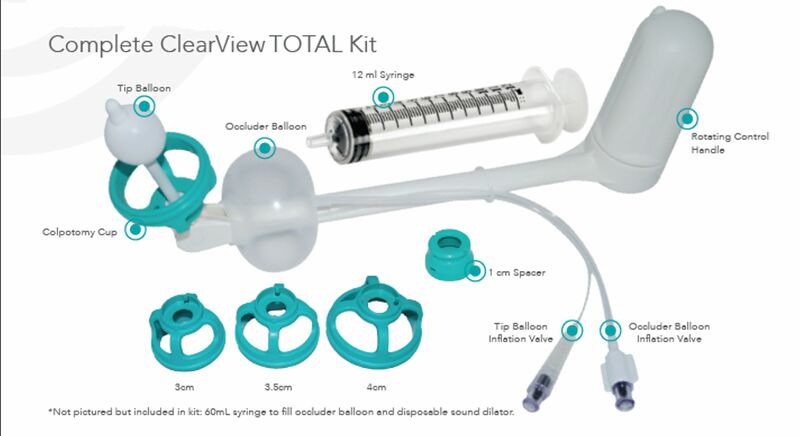 ClearView is an innovative, completely disposable, uterine manipulator providing surgeons with optimal visibility and complete uterine control during laparoscopic procedures. ClearView provides 120° anteversion and 90° retroversion as well as lateral movement; for the greatest motion range of any uterine manipulator. The light-weight, balanced-design, allows the ClearView to be moved into position and left, freeing the hands of the surgeon and eliminating the need for an assistant. The 1cm spacer included in the kit adjusts the tip length, effectively changing a 9cm tip to an 8cm tip or a 7cm tip to a 6cm tip. If the spacer is needed to optimize sizing it snaps into place in seconds. The ClearView Uterine Manipulator boasts the greatest range of motion of all uterine manipulators. The rotating control handle facilitates one-handed control, enabling the surgeon to manipulate the uterus without breaking the sterile barrier. 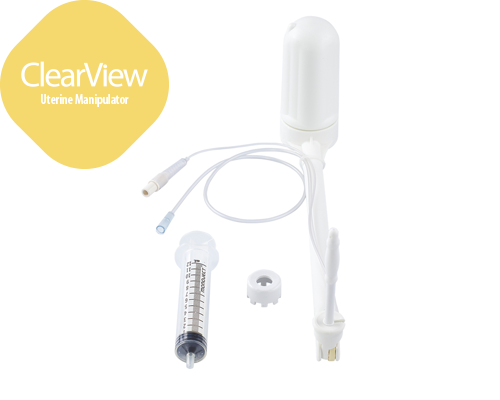 ClearView has a tip balloon as well a dye-injection port for effective chromotubation. 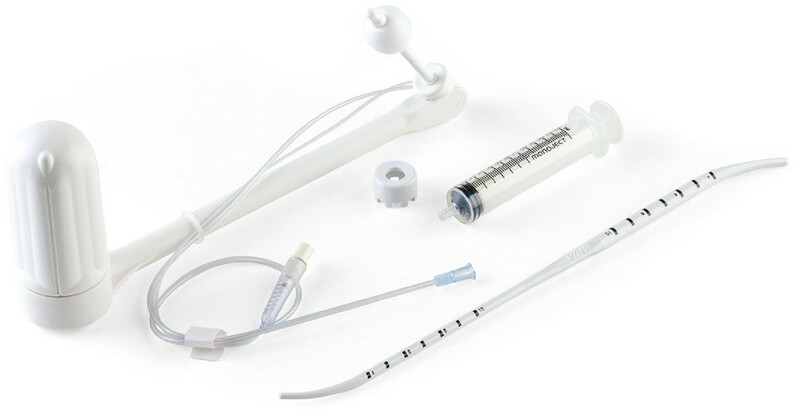 The kit contains; 1-Clearview, 1-1cm spacer for tip length adjustment, 1-12ml syringe to inflate the tip balloon, 1-disposable sound dilator to ensure adequate dilation.